Goods out sales order allocation fulfilment creates goods out notes for processing by the warehouse. Sales orders arrive from your sales channels and before your warehouse team can pick, pack and ship, orders need to be allocated and fulfilled. Allocation means reserving stock for orders. You may have allocation built into your channel workflow. In this case, orders are pre-allocated. Fulfilment generates gods out notes for orders and kicks off the warehouse pick, pack and ship warehouse workflow. Partial fulfilment occurs when you have some stock for an order but not all. Order allocation and fulfilment is handled in Warewolf’s goods out module. Select goods out > orders in Warewolf’s sidebar. The orders screen open with no records in the screen. That’s because you probably have a lot of orders (hopefully) and will want to filter them anyway. Open the filter slider and make the selection you want. See more about filtering here. 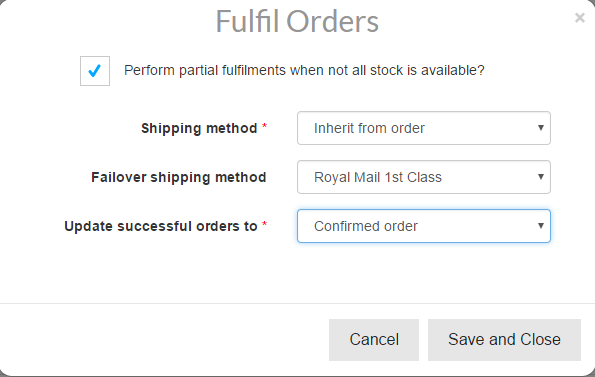 Next, select one or more orders to fulfil then click fulfil. Warewolf opens a modal asking for more information about how you want to fulfil the orders. If your customers are happy to receive part delivery and you don’t mind paying double shipping costs, tick the ‘perform partial fulfilment’ box; otherwise leave it un-ticked. At this point, you may set the shipping method to get the best value service for your customers’ deadlines or leave the default where shipping methods are inherited from orders. Think about how you could use the combination of order filters and shipping method changes. For example, find all unfulfilled orders where customers have paid for next day but these need to be shipped on Friday for Saturday delivery. Your default next day shipper is very expensive for weekend deliveries. Use this feature to switch to a better value weekend next day shipper. 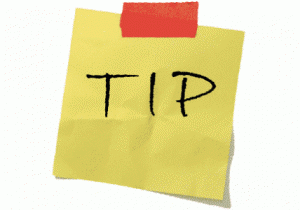 The failover shipping method allows you to specify a shipping method where there is no shipping method in the order. Finally, you have the option to change the status of the order by selecting from the dropdown. Warewolf will update the status back to your channel system. Click save and close then Warewolf will allocate and fulfil from your channel. The outcome will be one of these. Where orders are partially fulfilled and goods out notes have been generated, the fulfilment message shows which products don’t have stock available. The order fulfilment status will change to ‘part fulfilled’. After new stock arrives, you can fulfil again to create goods out notes for order balances.